Momento Hospitality has been quietly achieving excellence and recognition, as seen in police commendations for two staff members and independent awards for business. On 22 September a young man collapsed in the Bella Vista Hotel, appearing to have stopped breathing. GM Salvatore Bellomo immediately went to the man’s assistance, commencing cardio pulmonary compressions. Colleague Chelsea Zadravec called 000, and the compressions were continued until police arrived and took over. The police maintained resuscitation for approximately ten minutes, before paramedics arrived and were able to transport him to hospital, in a critical condition. He was placed on life support, but made a full recovery within a few days. 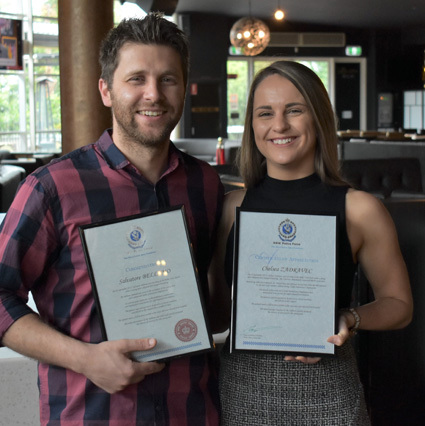 The NSW Police Force determined to grant the two workers Commendations for their prompt actions, with a ceremony taking place Monday this week. “As soon as we discovered the young man unconscious and not breathing, Chelsea, Retta and I acted fast,” recalls Bellomo. “It was a very busy Saturday night, but together we cleared out the public bar and VIP room, called an ambulance and began CPR. Retta and I took turns performing CPR for about 10 minutes while Chelsea was on the phone to the paramedics relaying instructions to us. “We found out later that the young man had a heart defect and that, had we not begun CPR immediately, he would have likely passed away. He visited our venue after the incident, and it was great to see him happy and healthy again. 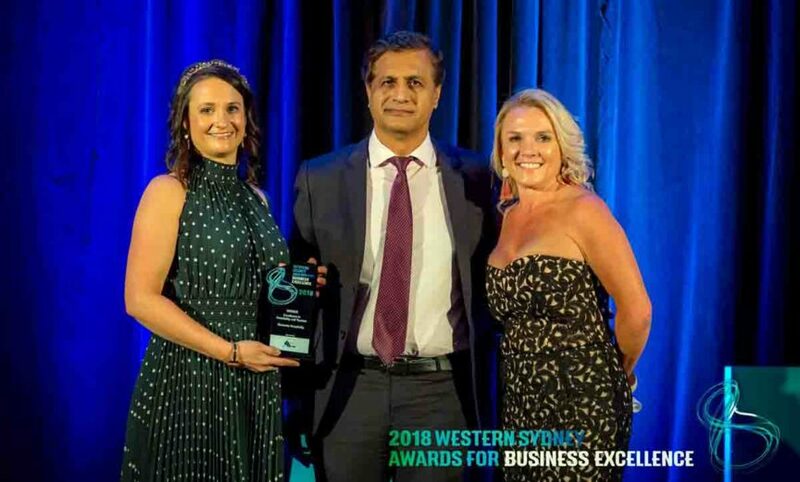 On Friday 21 September more than 700 of Western Sydney’s most influential business leaders and professionals made their way into Rosehill Gardens Racecourse for the 28th edition of the annual Western Sydney Awards for Business Excellence gala. The Awards showcase small, medium and large businesses seen to be excelling in their respective fields, and were drawn to the work of Momento Hospitality and the Momento Foundation. Amongst strong competition, the Group took home the Jewel trophy for Fine Food Excellence in Hospitality and Tourism. These accolades come as the Colosimo family’s hospitality business is undergoing its own evolution, recently parting with flagship the Australian Hotel and Brewery through a divestment partnership with Redcape, and building upon other projects and opportunities. 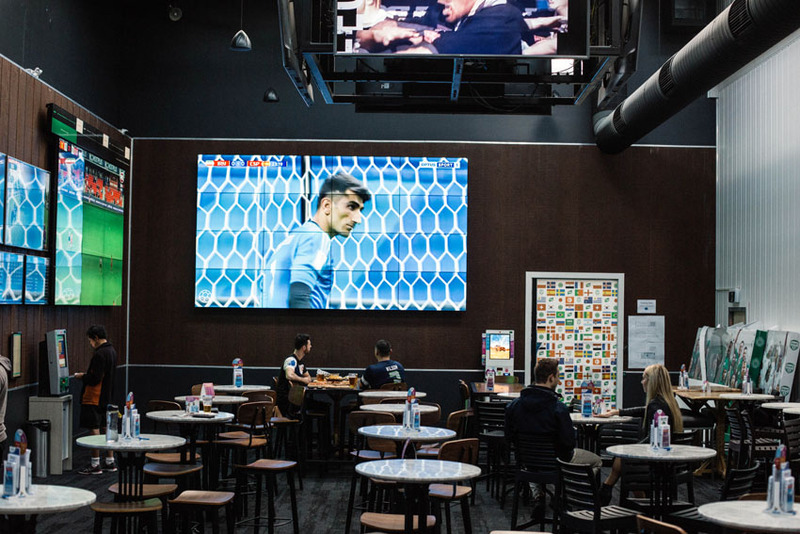 This has included new additions to the now-commended Bella Vista – heart of Sydney’s north-west – which now boasts an epic sports bar inspired by US stadiums, with a whopping 97 flat screens recreating an electric arena atmosphere, including a 360° four-screen hanging fixture reminiscent of Madison Square Garden. 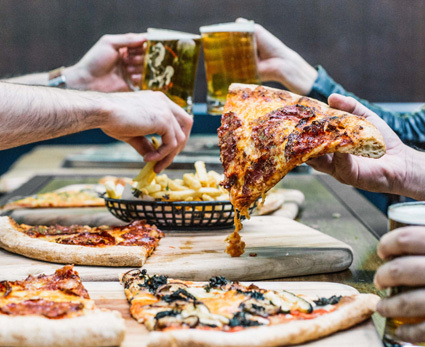 The visual is backed by all the menu trimmings of hotdogs piled high with bacon, sauce and oozing cheese, and extra-large New York-style pizzas, washed down with classic and craft beers. And if patrons ever wish to leave the sports den, there will be a big new all-weather beer garden open in time for the Melbourne Cup, for 150 people. The new space features a retractable roof, outdoor bar and lounge areas, surrounded by luscious greenery, with cushioned timber benches, bluestone tile paving and an extended kitchen.